Jeff Youngren graduated with a biology degree. Now, he and his wife, Erin, own photography businesses. 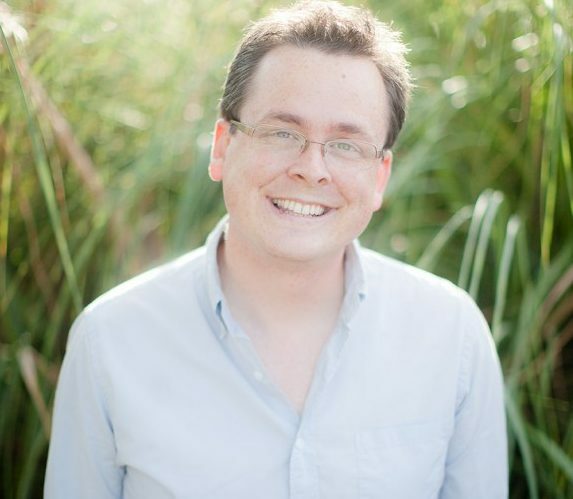 Nevertheless, Jeff serves on the Research Associates board and is a passionate supporter of the Campaign for the Sciences. Q: How did you go from your biology degree to being a professional photographer? A: I was drawn to PLNU because I wanted to go to med school, and the program was amazing. So that’s why I started there. And then a few years in, it kind of became obvious that I didn’t really want to become a doctor. … I remember I was in a mock interview for med school, and it was the worst hour of my life. All of my professors were drilling me about why I wanted to become a doctor, and I realized that, actually, I didn’t want to. I graduated and did use my degree for a number of years. I did cancer research for a major bio-tech [Biogen Idec, Inc.] here in San Diego. During that time, I connected with the science department as an alumnus, and that’s why I am on the Research Associates board. [Then] I basically transitioned from science to art, kind of just following my passions. Q: How have you been involved in the Campaign for the Sciences? A: Erin and I both love being involved as alumni at PLNU, so it seems like we’re always over there for one meeting or another, grabbing coffee with one person or another. It started a year or two ago. I was early for a meeting with Sheryl [Smee, the alumni director] … and I just decided to walk around the area where the new science building is going to be and just did a little prayer walk. I started praying for what could happen, what could be, and the ways the students could be impacted from this dream. That was a really meaningful experience for me. So that’s what I have started doing every time I go back to campus: walking along the grassy hill among the trees where we all used to take naps between exams as undergrads and just praying for what could be with the science building. Q: What has made you so passionate about the project that you would take time to pray for future students and their facility? A: My education in the sciences was so important, not just professionally, but really personally. It sounds funny, but I feel like I learned more about God in my analytical biochemistry class than anywhere. I know how deeply, personally I am impacted by my education in the sciences. So whether or not I am a professional scientist now, I just know the potential that it has. I think that the professors in the science department are hands-down the most amazing people on that campus. I’m not saying anybody else is awful or anything, but [the science faculty] are just some of the kindest, most engaging, most loving people you could imagine. Also, having done research and having had to make due or duct tape things together to get it to work, I know what a hurdle it was as a student to have to do that. I imagine myself as a student with better facilities and how much more I could learn and develop personally. Q: Obviously some things went really right for you as a student. 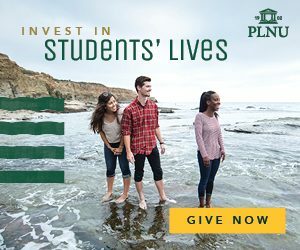 When you reflect on your overall PLNU student experience, what do you remember most? A: The thing I can’t place a dollar value on is the relationships that [were] made. Those classmates that I met are some of the most important people in my life. The professors that I had, I feel like during the course of my undergrad I really became friends with them. Just having relationships with people who I wouldn’t know if I didn’t go to PLNU, that has been the thing that I am the most grateful for. Q: How does your PLNU education impact the way you conduct your business? A: The stuff that was drilled into us while we were there was service, service, service. [We were taught that] when we go on from this place we’re going into the world to be His hands and His feet. And so, that’s been the lasting impact. With our photography businesses, which are clearly service-based, it is sometimes easy to lose sight of that. So we make every decision and think of everything from this angle: putting others first and serving them to the best of our ability. We’ve found a lot of great success with that. It’s been interesting to see what happens when we don’t run a self-focused business but run an others-focused business and how the Lord blesses it like crazy with opportunities that we shouldn’t have had, that we did not deserve on our own. Q: What do you say to encourage other alumni who are not very engaged with PLNU? A: It can be really rewarding to have a sense of giving back to the place that was super foundational to me personally. The first response many have is, “Oh, they just want my money.” … Sure, financial support is part of it. But they would just love you to be involved, to help them out and be part of the team. … As an undergrad, I thought my tuition was making everything happen, but no, a huge amount is from a volunteer workforce and giving. Being on the other side, it’s really rewarding. Erin and I love being involved.